The following video was captured on the smart phone of one such visitor and it captures some of the spirit of the gathering. 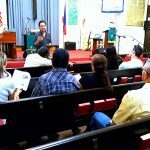 A gathering of volunteers, and lay leaders were present in the First United Methodist Church sanctuary to hear an overview and receive training from representatives of the South Bay chapter of Family Promise ahead of the first cycle of a joint effort to provide temporary housing, training and grace to needy families. UPDATE! Two new mission statements added for your consideration! During our retreat we began the process of coming up with a new mission statement for our church. 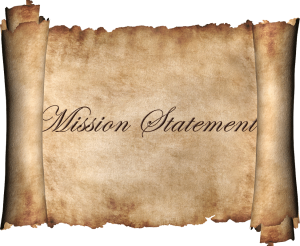 Using the Cal Pac mission statement as a design model (“Inspiring the world as passionate followers of Jesus Christ so all can experience God’s life-giving love.”) we want a mission statement that is 18 words or less in length.